The Harvard University Association of Alumni in Singapore (HUAAS) invites its members to an evening with Lim Siong Guan, Professor at the Lee Kuan Yew School of Public Policy at the National University of Singapore, Senior Fellow of the Singapore Civil Service College, and Advisor to the Group Executive Committee of GIC, Singapore’s sovereign wealth fund. He was Group President of GIC from 2007 until his retirement at the end of 2016. Special thanks to Singapore Management University (SMU) for hosting this event. This event is free and open to HUAAS and HBS alumni. Attendees are required to purchase one of Lim Siong Guan’s three published books (each book will be sold at S$25, at a 20% discount to retail price) and the author will autograph his books. Space is limited and RSVPs are required. Lim Siong Guan is a Professor in the Lee Kuan Yew School of Public Policy, instructing on leadership and change management. He is Advisor to the Group Executive Committee of GIC. GIC is the fund manager for the foreign financial reserves of Singapore. He was the Group President of GIC from 2007 to 2016. He is a member of the Board of Trustees of the Singapore University of Technology and Design, and Senior Fellow of the Singapore Civil Service College. Siong Guan was Chairman of the Singapore Economic Development Board (EDB) from October 2006 to June 2009. EDB is the Singapore government’s lead agency for planning and executing strategies to enhance Singapore’s position as a global business centre. Much of its work is attracting international corporations to set up manufacturing and services activities in Singapore as critical links in the global supply chain. 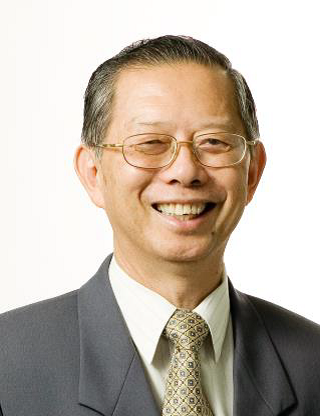 Siong Guan was the Head of the Singapore Civil Service from September 1999 to March 2005. He has been the Permanent Secretary of the Ministry of Defence (1981-1994), the Prime Minister’s Office (1994-1998), the Ministry of Education (1997-1999) and the Ministry of Finance (1998-2006). In every appointment, he introduced innovative policies and practices which enhanced the drive, capacity, capability and performance of the organisation. He has chaired the Inland Revenue Authority of Singapore (2004-2006), the Accounting and Corporate Regulatory Authority (2004-2006) and, the Central Provident Fund Board (1986-1994), and has been a board member of many companies including Temasek, the other sovereign wealth fund manager of Singapore. “Can Singapore Fall? Making The Future For Singapore” is the most recent book written by Siong Guan. This book contains edited versions of the three IPS-Nathan Lectures he gave between September and November 2017, and highlights of his dialogue with the audience. Siong Guan also co-authored with Joanne H. Lim two books. The first was “The Leader, The Teacher & You – Leadership Through the Third Generation,” a book on leadership and governance, which won the Singapore Literature Prize for non-fiction in 2014. The second was “Winning with Honour in Relationships, Family, Organisations, Leadership, and Life, a book on winning in life and work. Siong Guan is the founder chairman of Honour (Singapore), a charity that seeks to promote the culture of honour and honouring in Singapore. Last but not least, he is a SwissRe Group Advisor and a member of the International Board of the Stars Foundation, a Swiss foundation that promotes leadership development for leaders of the next generation.